Health groups welcomed the notification by the National Pharmaceutical Pricing Authority (NPPA) of ceiling prices for coronary stents. 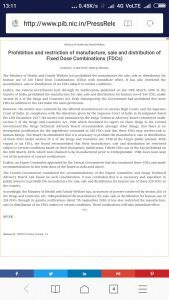 The NPPA has notified a ceiling price for Drug Eluting Stents (DES) at Rs.29,600 and for Bare Metal Stents (BMS) at Rs.7,260 under the provisions of paragraph 19 of the Drugs Prices Control Order, 2013…read full statement here. Read recent articles on the issue here and here. Also read the notification by NPPA here..